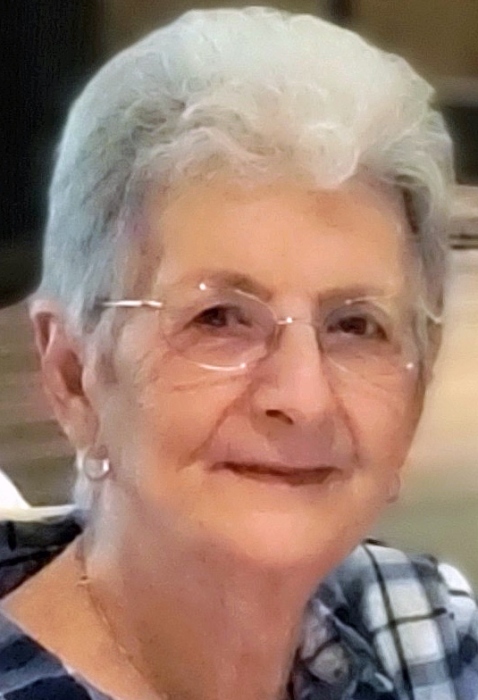 McDonald, Charlene Darlann, age 78 of Waynesville, passed away on her 58th Wedding Anniversary, Monday, November 26, 2018 at Kettering Medical Center surrounded by her loving family. She was born on January 30, 1940 the daughter of the late Charles & Christina (James) Leis. Preceded in death by her husband of 58 years Robert B. McDonald, Jr., in 2018, and her grandson Nicholas C. “Nickolopalus” McDonald. She is survived by her 3 sons Robert C. “Robbie” McDonald, Patrick A. “Paddy” McDonald and wife Pamela “Pammy Jean”, Michael A. “Mikey Bob” McDonald and fiancée Margaret Atkinson, 8 grandchildren Brittany “Toad” Conley and husband Shawn, Kyle “Cue” McDonald and wife Brittany, Van “Bull” McDonald, Sean “Seanesy” McDonald, Connor “Coyote” McDonald, Meghan “Lil Mother” McDonald, Miranda “Lil Mac” McDonald & Aiden “Spanky” McDonald, 5 great grandchildren, 3 brothers Charles Leis, Craig Leis (Dee) & Chet Leis (Anita), as well as numerous other family members and many friends. The family will receive friends from 5:00 p.m. to 7:00 p.m. on Thursday, December 6, 2018 at the Swart Funeral Home, West Carrollton. www.swartfuneralhome.com.